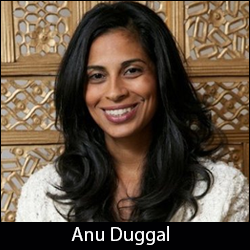 Indian-American founder of seed capital fund Female Founders Fund or F Cubed, Anu Duggal is all set to back women entrepreneurs through early-stage funding. She recently raised over $5 million (around Rs 30 crore) in her debut fund. The fund has so far invested between $60,000 and $150,000 for 1 per cent-2 per cent stake in 11 companies. Duggal is part of the niche set of investors who cater exclusively to women entrepreneurs from New York in the tech and tech-enabled start-ups in the consumer facing sector. The demand for such niche investors has already made Duggal determined to raise a second fund, albeit a larger one, focused on the US alone. Others similar initiatives include San Francisco-based Astia, AOL's $10 million 'Built By Girls' fund and Isabella Capital. VentureBean Consulting, run by Anjana Vivek, is one of a few woman-focused funds in India. Duggal's fund is backed by some of the major financial players globally. Key names include Hayley Barna and Katia Beauchamp of e-commerce shopping venture Birchbox, Alexis Maybank of Gilt.com, Sheila Marcelo from online care related services portal Care.com, TPG Capital's founding partner David Bonderman, First Round Capital's partner Josh Kopelman, RRE Ventures' co-founder Jim Robinson and co-founder of Foundry Group Brad Feld. Major Indian investors in F Cubed include Radhika Chopra, Google's India head Rajan Anandan, ‎DSG Consumer Partners's founder and managing director Deepak Shahdadpuri, chairman and founder of Adani group Gautam Adani and Patni Computer Systems founder Narendra Patni's son Anirudh Patni. F Cubed has plans to fund at least 15 more female-led companies apart from the 11 that it has already invested in. Apart from helping women entrepreneurs find a footing in their business, 35-year-old Duggal used to run a Bollywood dance-inspired fitness and media company called Doonya. Four years ago, she co-founded Exclusively.in, an e-commerce fashion, jewellery and home decor company featuring Indian brands and designers. She also advises companies such as India Internet Group and LittleBorrowedDress.